Performance vehicles are not limited to only sedans and hatchbacks and this has been seen with the new age athletic variants based on various body types. 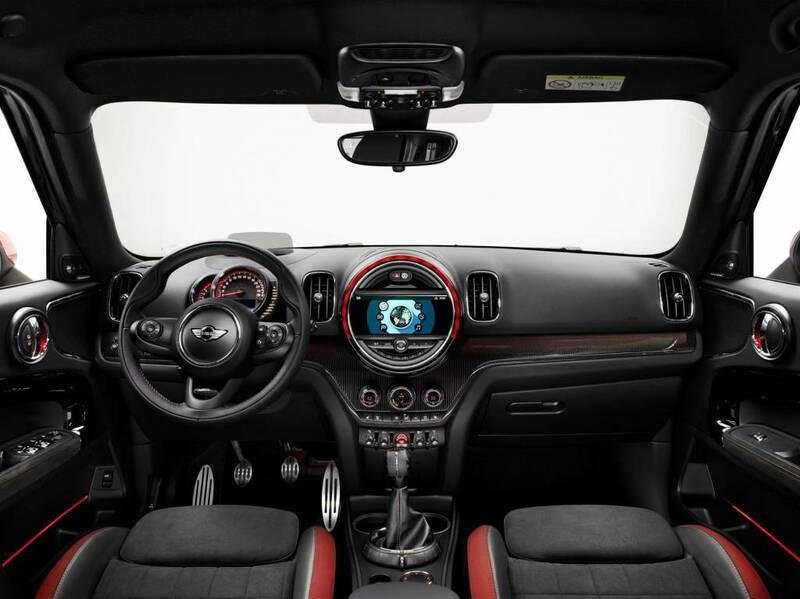 Mini has revealed the 2018 edition of the Cooper Countryman John Cooper Works. And as expected, it has received new design lines and updated interiors. More importantly, the power output too has gone up. The new Mini Countryman JCW will make its public appearance at the Shanghai Motor Show that is scheduled to happen in April 2017. The 2.0-litre turbocharged motor in the 2018 Mini Cooper Countryman now makes 231PS (>13PS) and generates 350Nm between 1,450 and 4,500 rpm. The motor is mated to an eight-speed automatic transmission. It also comes with Launch Control function that offers the quick acceleration from standby. There are also three vivid driving modes - Sport, Mid and Green focussing on performance and efficiency. Mini claims that the Countryman JCW can do 0 to 100kmph in 6.5 seconds and can reach a maximum speed of 234kmph. 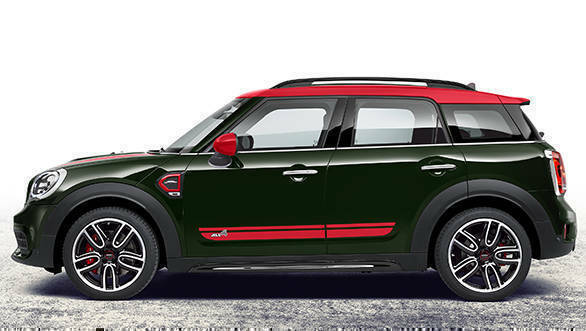 The acceleration timings of the Countryman JCW are a tad behind the Cooper JCW. 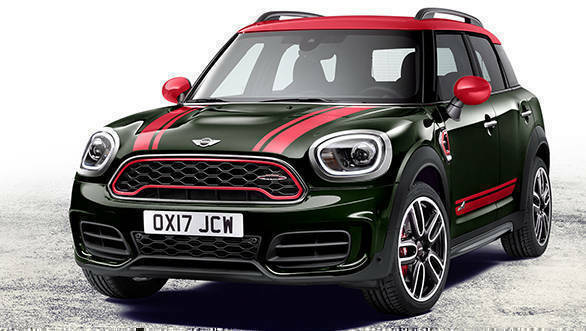 Mini states that this performance spec Countryman gets specially developed pistons, turbocharger and an additional radiator to justify the JCW badge. The design changes that the 2018 Mini Cooper Countryman JCW gets over the previous model are far too subtle to be distinguished. This SUV now measures 4,299 mm in length, 1,822 mm in width and 1,557 mm. This makes is 190 mm longer, 30 mm wider. It also has an additional wheelbase of 75 mm over the previous model. This has also translated into additional interior space. 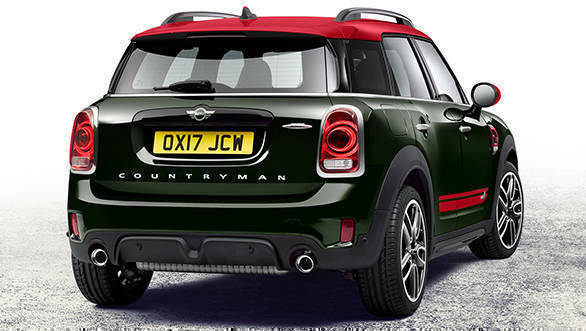 The Countryman gets a boot space of 450-litres that can be extended to 1,390-litres. The list of features that will be offered as standard includes LED headlamps with cornering function and DRLs, cruise control and the 6.5inch touchscreen system with navigation. As part of the optional package, it comes equipped with panorama glass roof, dual-zone automatic air conditioning, seat heating for driver and front passenger, windscreen heating and folding exterior mirrors. Mini has not revealed any information on the pricing which, we believe, will be announced at the Shanghai Motor Show. We expect it to arrive in India sometime next year.